I love changing up the paint colors in my home. 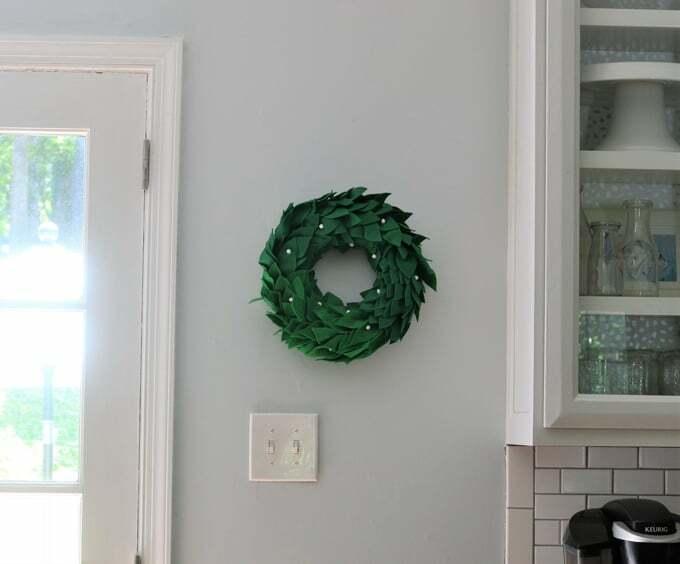 It’s a quick, easy, and inexpensive way to give a room a whole new look and feel. One thing I cannot stand, though, is low quality painters tape. 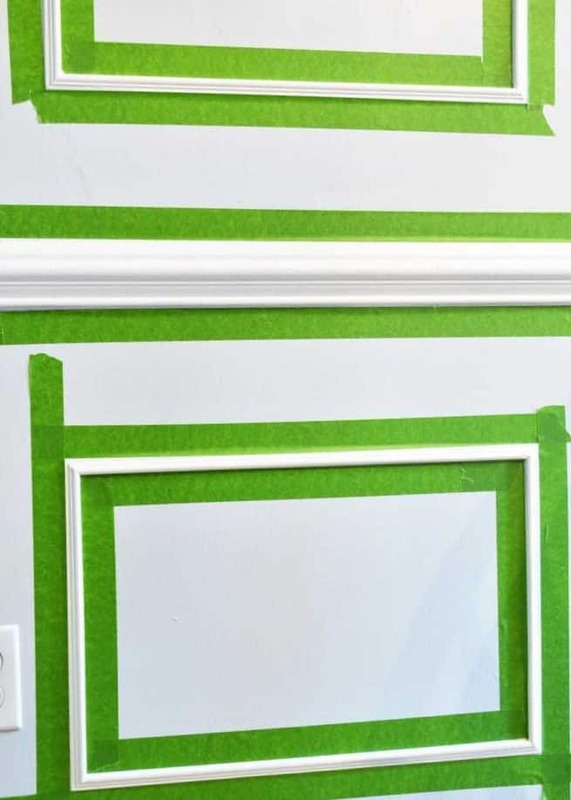 I need my painters tape to be high in quality, and able to give me the sharp, clean paint lines I’m always looking for. 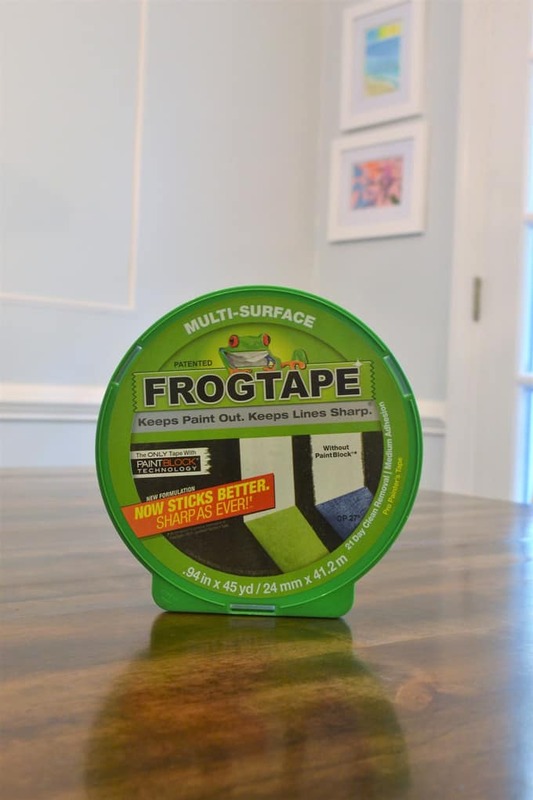 With this in mind, I always choose FrogTape® for my home painting projects. 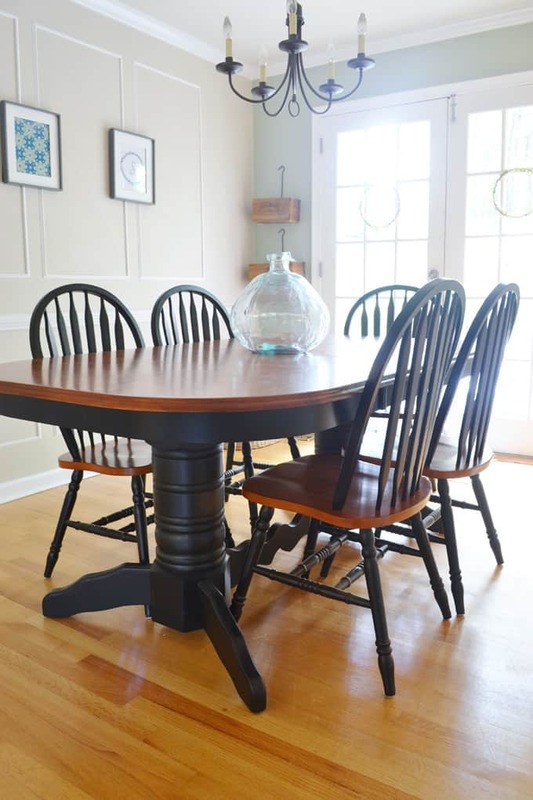 I recently wanted to give our dining room a mini makeover. I wanted to change out the paint color (I chose a light bluish gray paint), and switch out the art and wall decor. 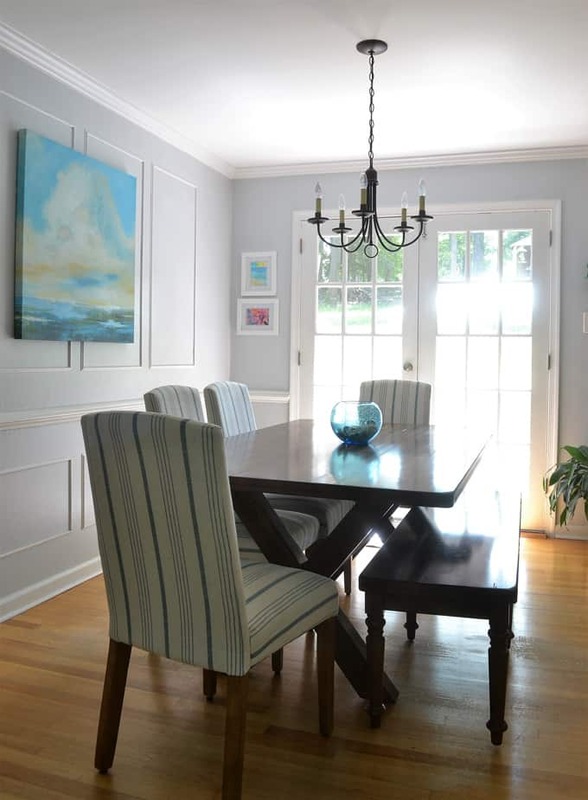 The tricky part of this space is all of the moldings and trim. 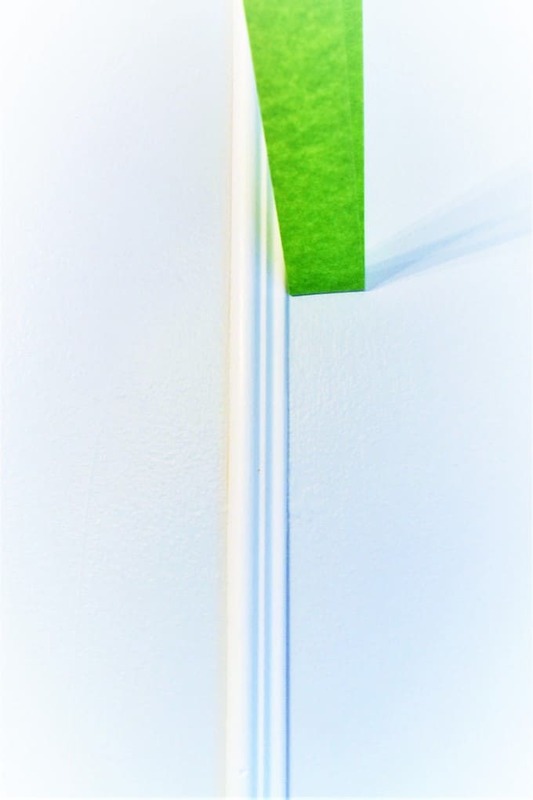 Armed with FrogTape®, which is treated with patented PaintBlock® Technology, I knew I could handle the trim painting easily and quickly. 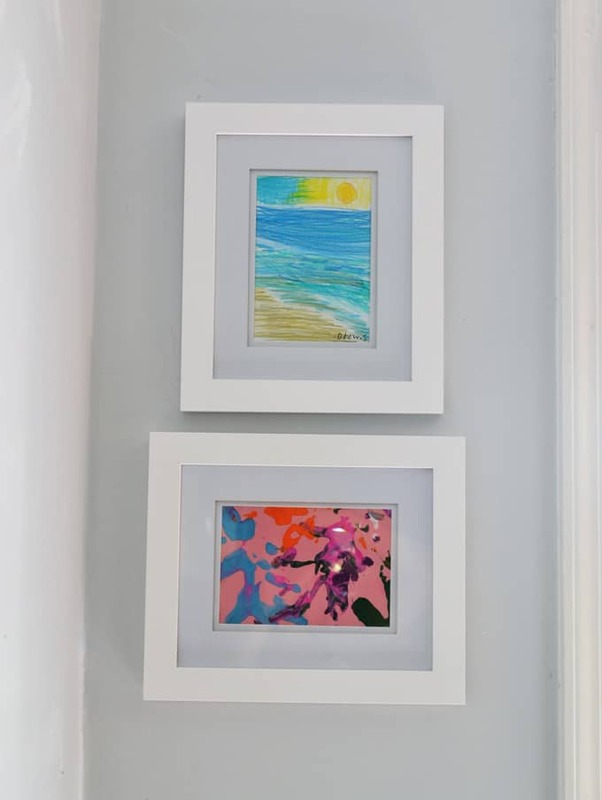 PaintBlock® Technology is a super-absorbent polymer that reacts with the water in latex paint and instantly gels to form a micro-barrier that seals the edges of the tape, preventing paint bleed. This leads to crisp, clean paint lines the first time, every time. I painted all of the walls one day, and then tackled trim a couple of days later. Quick tip! 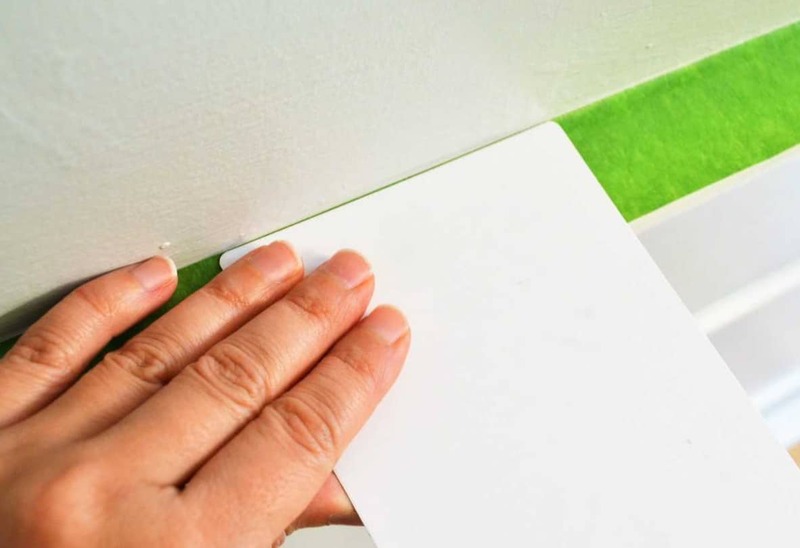 To ensure that the tape adheres well to the wall, use a straight edge (like a credit card), to smooth out the edges after taping. 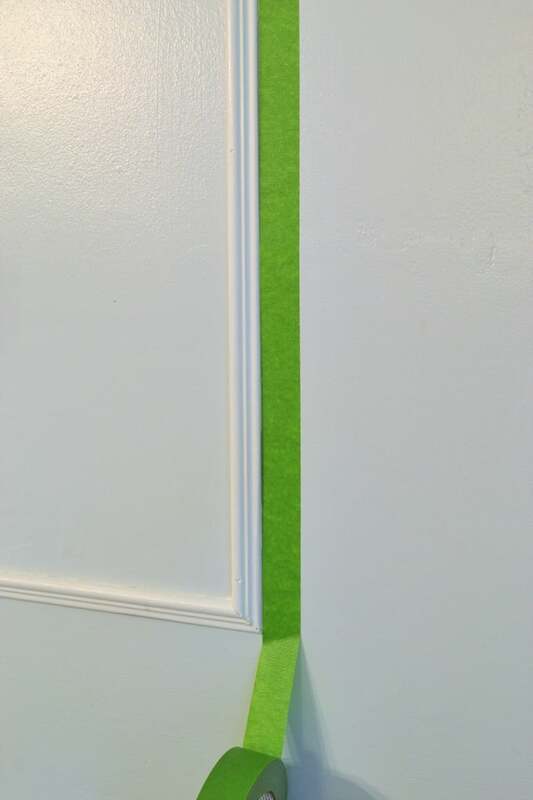 For the trim painting, I started by taping off all of the trim, and again used a straight edge to make sure the tape was firmly in place. After painting, I carefully removed the tape and was left with the clean, sharp paint lines that really make a difference to the end result! Here is an “after” picture of our space! I love how this room turned out, and I especially love all the pops of white between the trim and moldings. 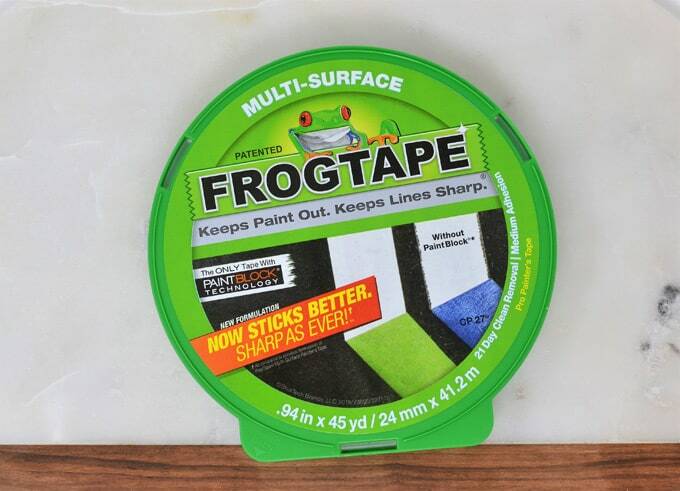 It all contrasts so nicely, thanks to FrogTape® ! What are some of your favorite tips and tricks for painting walls and trim? I’d love to hear!